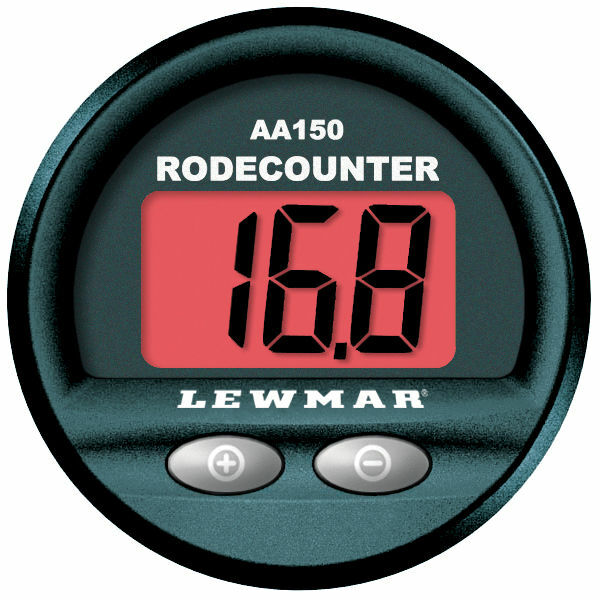 The AA150 rode counter (chain counter) displays the length of rode deployed through the windlass. LCD display shows at a glance how much anchor rode is out. Docking alarm sounds when the anchor is close to docking. Works with rope/chain or all-chain rode.